"India's most luxurious hotels - where to stay in style"
"12 best Exotic marigold : Wonderful Small Indian Hotel"
"Top 10 Baths With A View"
"Top 10 Best Palaces Hotels In India"
Ramathra Fort lies between two of India’s internationally famous wildlife reserves. Keoladeo Ghana Bird Sanctuary in Bharatpur and Ranthambore Tiger Reserve in Sawai Madhopur. The closest wilderness area, Kailadevi national Park, is just 15 Kms away. 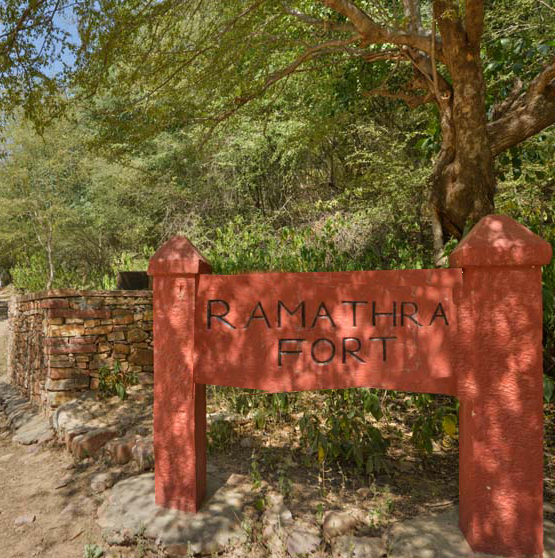 The Fort, The Lake and countryside are the three big attractions of Ramathra Fort. The ideal season to enjoy Ramathra is between the months of October and March. Regardless of how much time you have to spend, or how much you wish to do, the adventure is yours. Whether you prefer to stay home and take in the fort’s tranquil atmosphere or wish to explore its many natural sites, your hosts at Ramathra promise you a memorable stay. 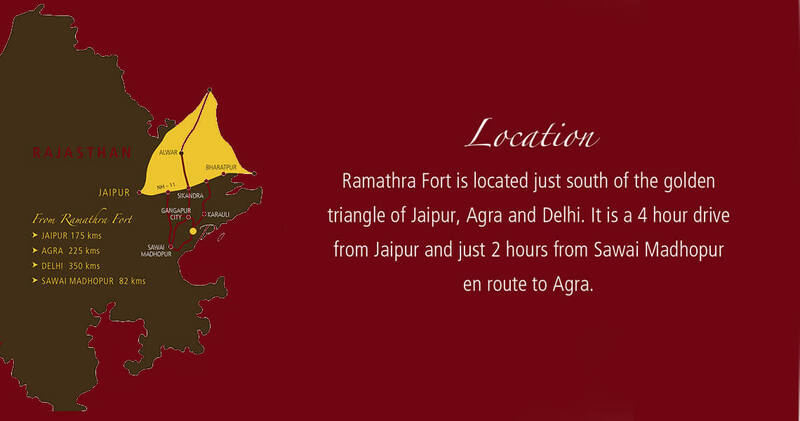 Due to its geographic location in the far interior of eastern Rajasthan there are almost no disturbing urban influences in and around Ramathra Fort. It’s natural surroundings and tranquil atmosphere are what guests enjoy the most. Leisurely walks through its untainted rural habitat is a favored activity for visitors. Situated on a hilltop, Ramathra Fort offers spectacular views of Kalisil Lake, its surrounding hills and countryside. Small rural hamlets dot the picturesque farmland below. Water birds abound on the lake which is also a rich feeding ground for the ducks, storks and cormorants that visit every winter. Birds such as local water fowl, kingfishers, saras cranes, stilts and herons can be seen throughout the year. The vast Daang plateau, stretching east to the Chambal River valley and as far as south as Ranthambhore, offers many scenic vistas with its secluded gorges and hidden shrines. It is home to a variety of deer, blue bulls, wolves, jackals, hyenas, wild boar, sloth bears and panthers.